Sophie Mercer thought she was a witch, which was why she was sent to Hex Hall, a reform school for delinquent Prodigium (a.k.a. witches, shapeshifters, and fairies). But that was before she discovered she was a demon, and her hot crush, Archer Cross, was an agent for The Eye, a group bent on wiping her kind off the face of the earth. What's worse, Sophie has powers that threaten the lives of everyone she loves. Which is why she decides to go to London for the Removal, a risky procedure that will either destroy her powers forever-or kill her. But once Sophie arrives, she makes a shocking discovery: someone is raising new demons in secret and planning to use their powers to destroy the world. Meanwhile, The Eye is set on hunting Sophie down, and they're using Archer to do it. But it's not like she has feelings for him anymore. Does she? 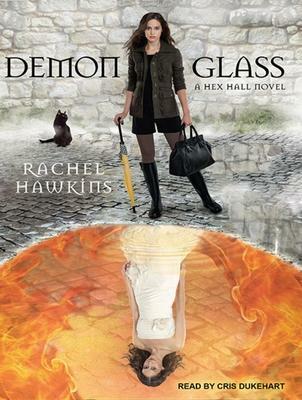 An Alabama native, Rachel Hawkins is the author of the Hex Hall series. An award-winning storyteller and a graduate of Johns Hopkins University, Cris Dukehart has narrated books in a plethora of genres, from romance, science fiction, and young adult to children's literature and autobiography. Her voice, with an endearing mix of sweetness and pluck, can be heard around the world and across the Web in commercials, e-learning projects, and corporate narrations.